Just wanted to feedback about a little game I have made for little ones. 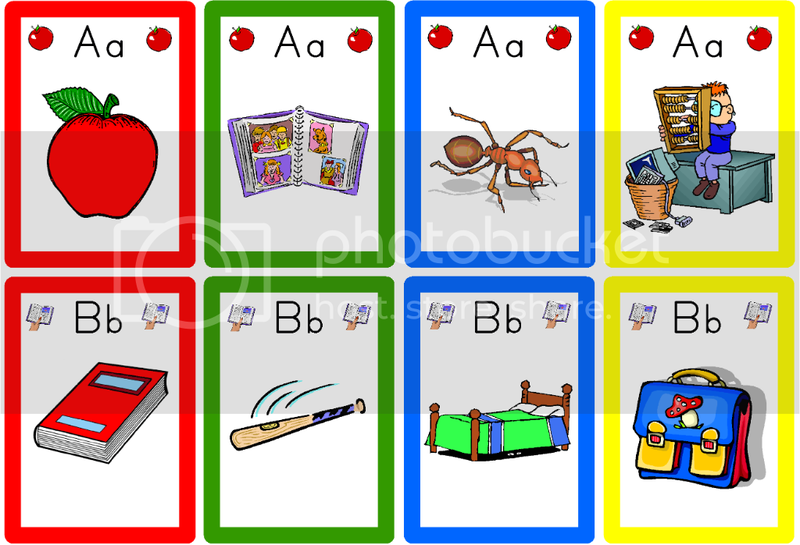 My game is a card game where the children read, spell and say (sounds). 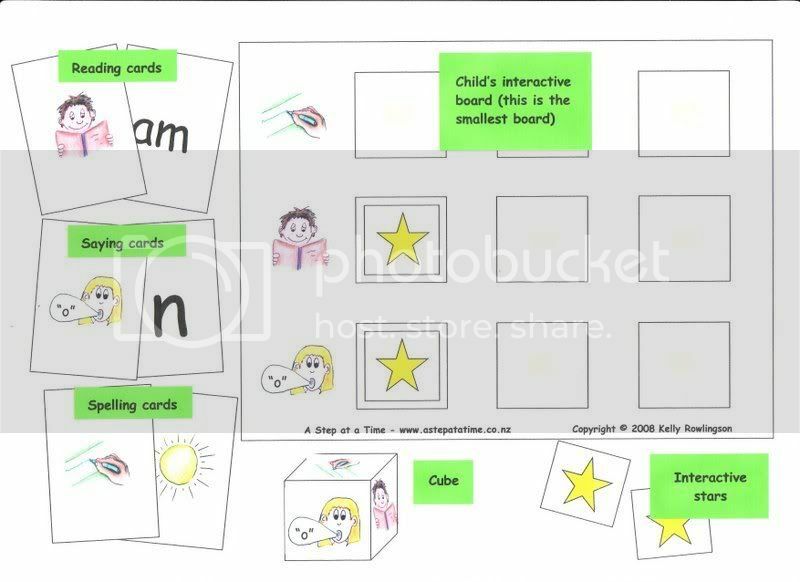 The game has a 'Standard Set' which includes interactive boards, interactive stars, instructions and cubes (which are made up by the parent/teacher) etc. Then there are five (but will be more) games which cover different sounds right up to revision (which I think is very important as many good readers don't get that much practice at decoding new words once they know the code). The first game starts with the real basics e.g. 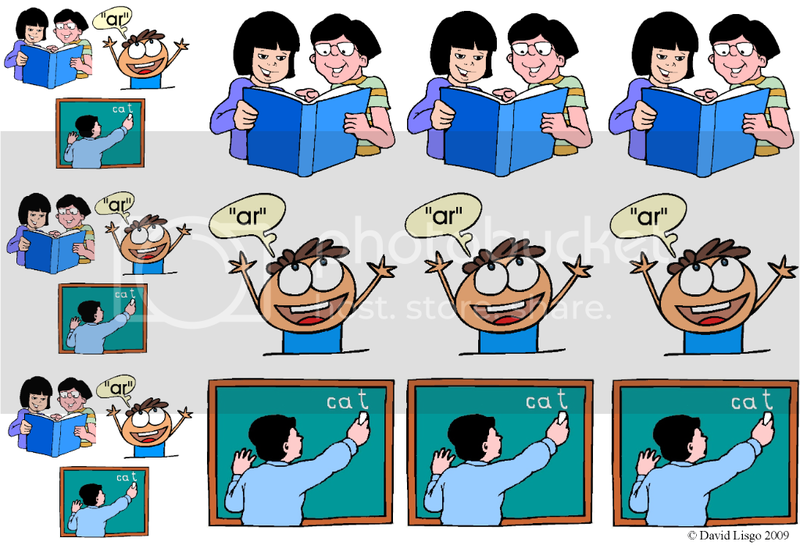 alphabet sounds and reading/spelling words with three (alphabet) sounds. My games have been designed around the sound introduction of my programme, but I have also started games in line with Jolly Phonics/Phonics International. Many of the words to read are HFWs (not to be read as 'sight words' obviously before we get into that debate!! ). The words ONLY contain sounds the children know. The objective of the game is for the child to fill their interactive board with stars (they have velcro fasteners). The boards differ in size - the smallest is nine (for beginners) the biggest 24 (for more experienced players). The child simply throws the cube. The picture that lands face up dictates what 'task' the child must complete. The boy reading is a 'reading task' etc. 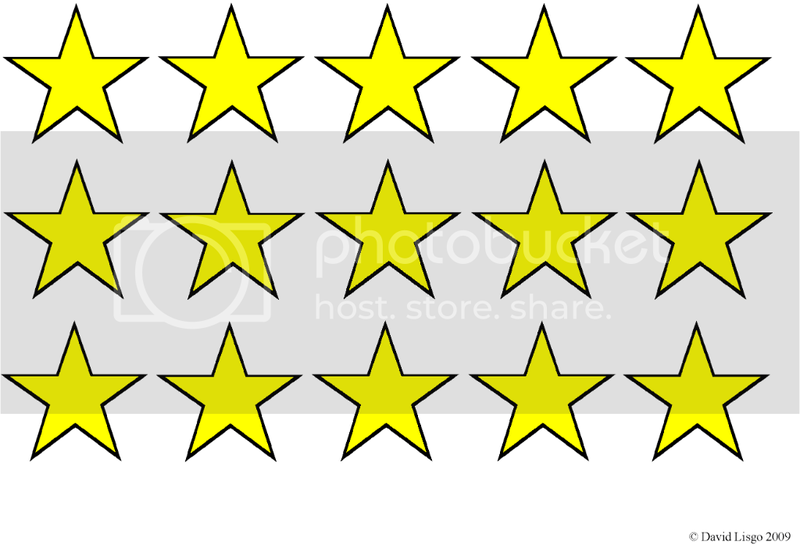 If the child completes the task successfully they can put an interactive star onto their board (on the corresponding task row). 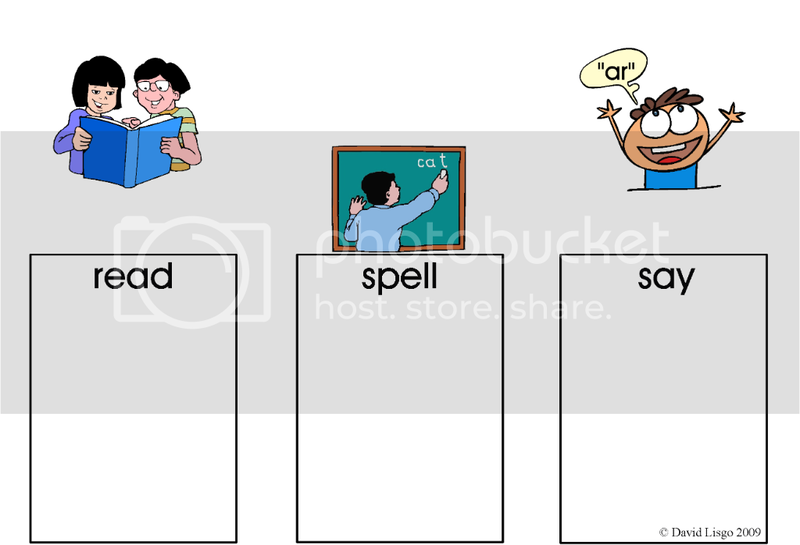 When using the nine piece board the child needs to successfully complete three reading tasks, three spelling tasks and three sound tasks to finish. Here is a very basic picture of the product. It it supposed to show the front and back of cards. Sorry it really is a basic picture as I have a list a mile long of things to do! Great game. I had a quick look at it last night and then early this afternoon I decided to make "read, spell and say". My playing boards are similar to your own except I have "read" at the top, "say" in the middle and "spell" at the bottom. No particular reason for changing it, it just came out like that. I used self-adhesive Velcro dots, putting the hooks on the boards and loops (because they are softer) on the backs of the stars. 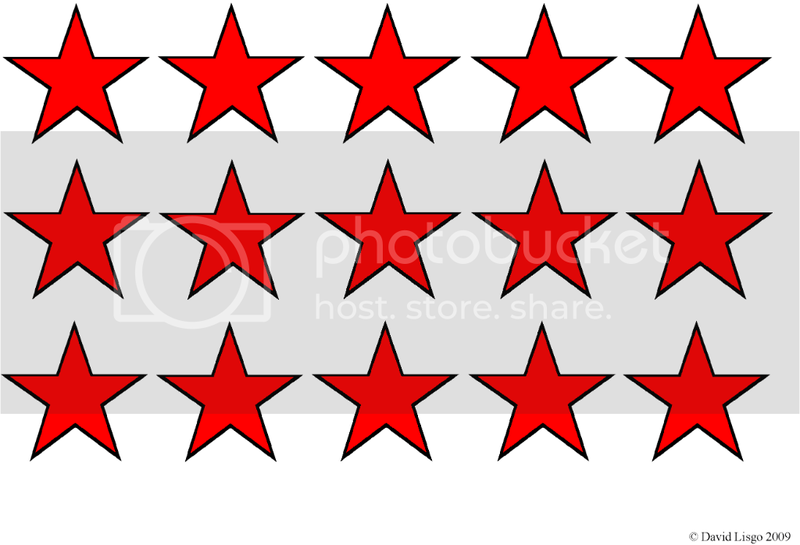 I made red stars and yellow stars, so that the children could play in pairs and turn it into a kind of tic, tac, toe or noughts and crosses game. So one board, two students is an option. Now I didn't have time to make dice and I thought that they would be a little troublesome for storing and carrying around, so I just made read cards (a picture of the boy and girl reading, spell cards (a picture of a child writing 'cat' on the blackboard) and say cards (a picture of a child staying "ar") instead, I also made cards which carry all three pictures so that a child can choose which one he or she wants and so make the game run more smoothly. The cards are all shuffled together and put in a 'pile'. I also made a special read, spell and say board for placing the target cards. Instead of rolling a big cube with pictures, a child rolls a small dice and then another child counts off the number by taking cards from the top of the 'pile' and placing them at the bottom. After the cards had been counted off, the top card is turned over and then the child is asked to read, spell or say one of the target cards. I already have lots of target cards, some from my Read! Spell! Do! game and some from a game called Switchit Junior. If you want, then I will put my version of your game up on this web site, or I can send it to you directly. Anyway, I played with 13 students, in three different classes, this evening and they all enjoyed the game. So thank you very much for the idea. Your game sounds interesting and I'm glad that your class enjoyed it. For my game the cube doesn't have to be used if parents/teachers don't want to. Instead the three different sets of cards can just be put together and shuffled. Children will simply take one from the top of the pile. The cube just adds something 'special' for the little ones, but it isn't vital to the game. Although when it is made from 250gsm card it is surprisingly robust. I have a four year old boy, need I say more? I have another game which I think would be great, both for building vocab and for reading. I am just putting the finishing touches on it and then (if you are interested) I will let you know. Do post pictures of your game. I would be interested to see it. This is the playing board which has the Velcro dots on it. This is the board which holds your target words, sounds and possibly sentences. These cards indicate which task needs completing. 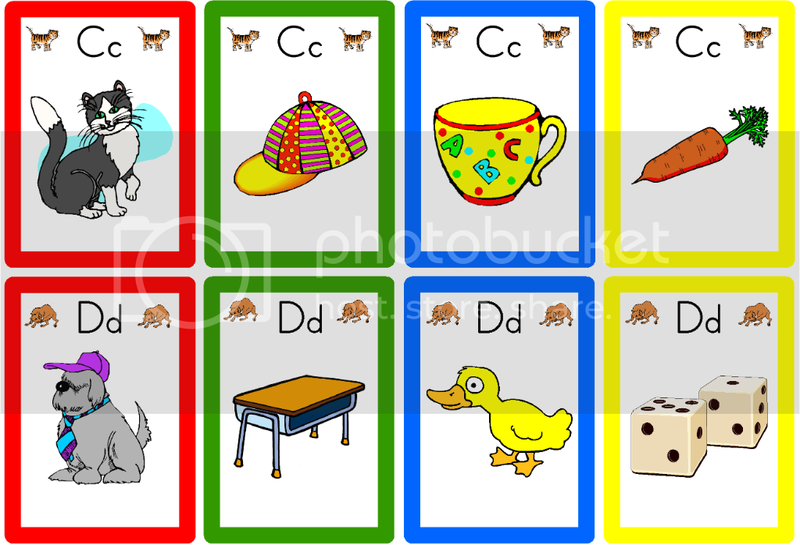 Here are some examples of the cards I use for 'say'. While you are here, why not take a look at a couple more of my recent creations.